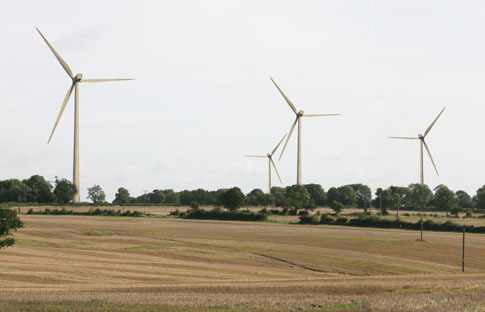 The proposed Spring Farm Ridge Windfarm between Helmdon, Greatworth and Sulgrave was refused planning permission by South Northants Council in June 2011. The developers, Broadview Energy Ltd, appealed against the decision and after a public inquiry in May 2012 the planning inspector allowed the appeal. This decision was quashed by the High Court following a legal challenge. The Planning Inspectorate has announced that the refusal of planning permission will be the subject of a new public inquiry to be held later this year. The Helmdon Stuchbury and Greatworth Windfarm Action Group applied to the Inspectorate for Rule 6 status at the inquiry and this has been granted. This means that the Action Group will be one of the main parties at the inquiry together with South Northants Council and Broadview Energy Limited. The Group will be retaining the services of a barrister to lead the case against the windfarm proposal with the aid of expert witnesses. All those who appeared at the previous inquiry will have the same rights to make written representations and/or appear at the inquiry to give evidence to the Inspector and ask questions of other witnesses. These include representatives of three parish councils, Helmdon, Greatworth and Sulgrave. The date of the inquiry will be posted on this website as soon as it is known. This entry was posted on Monday, March 4th, 2013 at 8:14 am	and is filed under News. You can follow any responses to this entry through the RSS 2.0 feed. You can leave a response, or trackback from your own site.